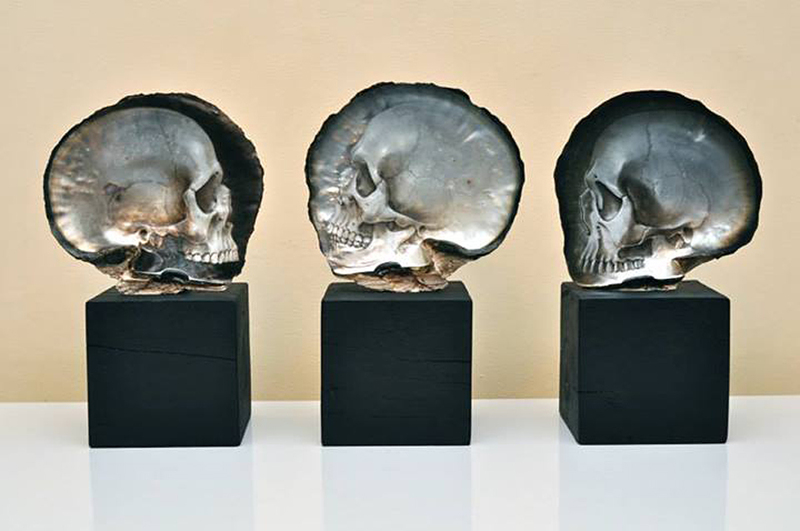 Gregory Halili’s Skull Series consists of detailed bas-relief skulls. 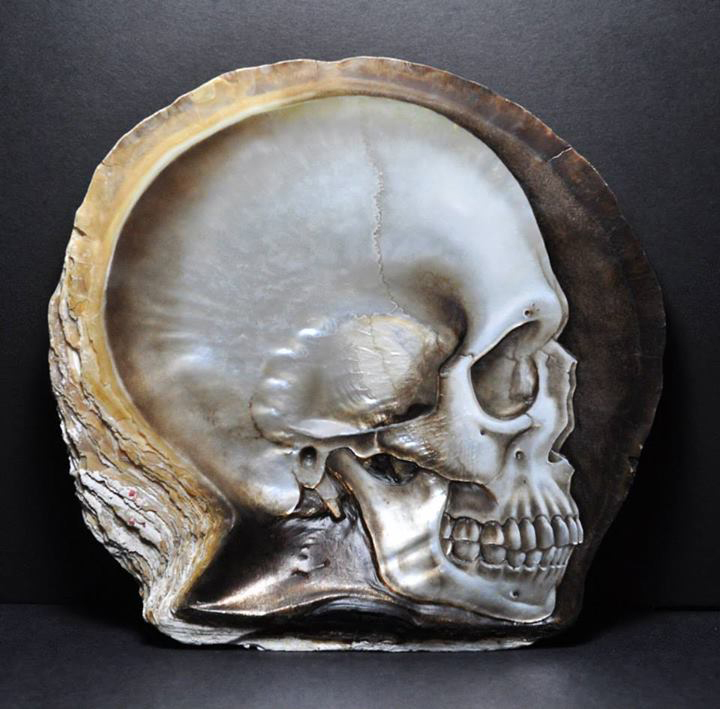 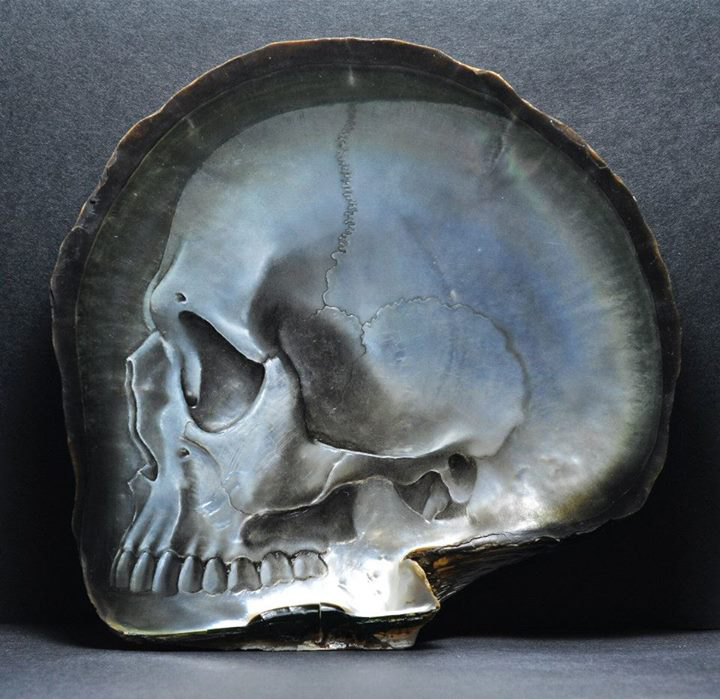 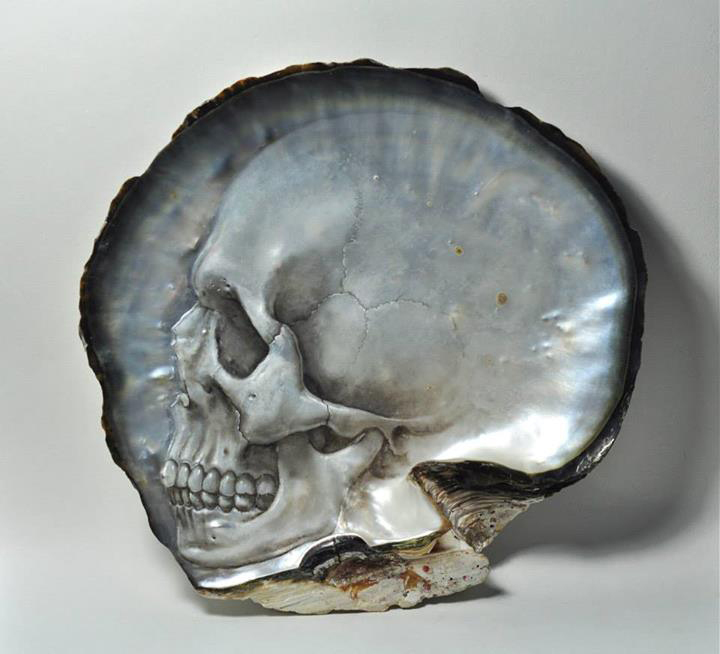 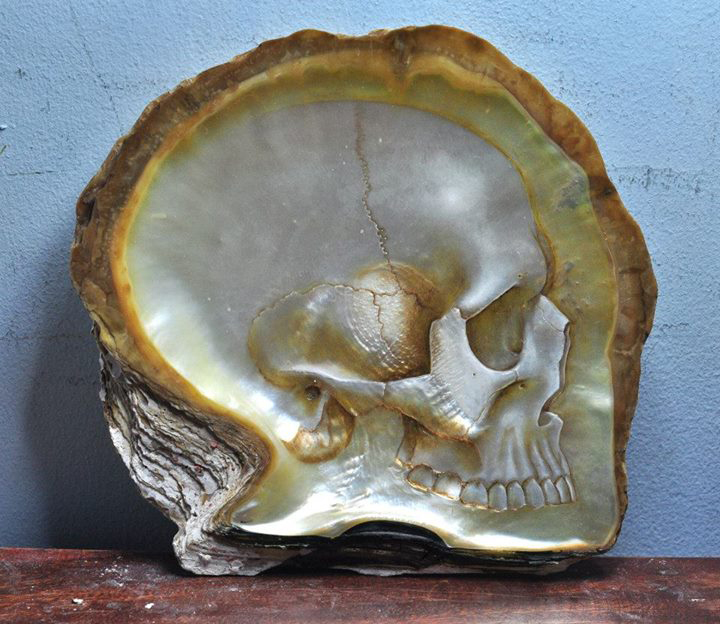 Gregory uses 10″ to 12″ mother of pearl shells and oil pigment to make the sculptures. 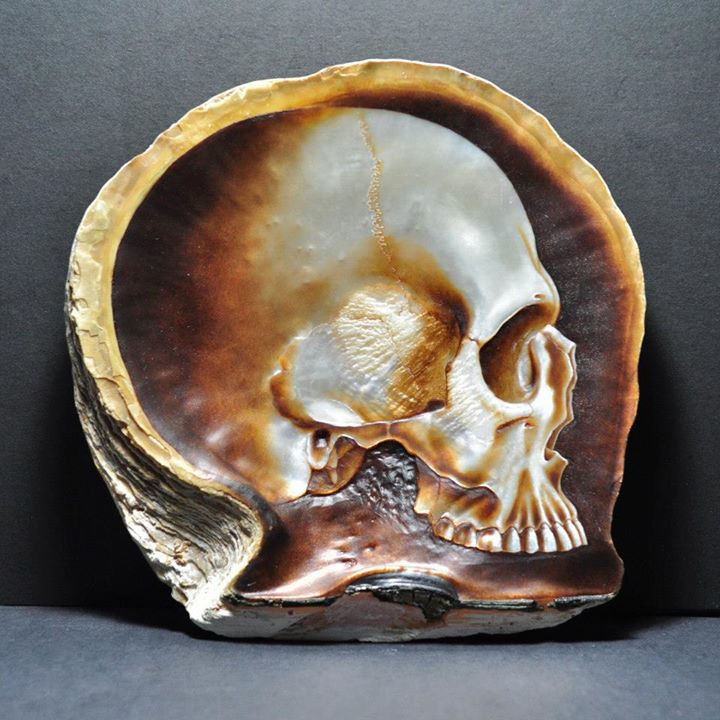 You can see more on his Facebook page and YouTube channel.